Following a serious outbreak of severe parasitic disease, kala azar, in Southern Sudan Médecins Sans Frontières, is responding to the emergency in several locations across both Jonglei and Upper Nile States. MSF is treating patients in its clinics in Pibor and Lankien and using mobile teams in Rom to actively trace patients. Kala azar, or visceral leishmaniasis, is a neglected tropical disease, endemic in some parts of Southern Sudan and which spreads quickly and easily during an outbreak. The disease thrives in poor, remote and unstable areas, where there is extremely limited healthcare. It is contracted by the bite of a sandfly carrying the kala azar parasite, which multiplies inside the body, attacking the immune system. Symptoms include an enlarged spleen, fever, weakness and wasting. It demands quick diagnosis and treatment and if left untreated is fatal in almost 100% of cases within one to four months. However, if patients get treatment on time there is a success rate of up to 95%. 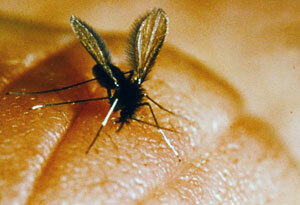 The kala azar parasite is transmitted to humans by biting sand flies. “We suspect that the number of kala azar patients reaching clinics in some areas is just the tip of the iceberg. With all the barriers facing people here - the severe lack of infrastructure, few proper roads, crippling absence of healthcare staff and centres and the current increase in violence and insecurity in the region, survival becomes a cruel obstacle course for those in need of life-saving treatment,” continued Dr. Kidinda. Jonglei State is the most affected area, with reports of 275 kala azar patients in the Old Fangak clinic in the northwest being treated by a local non-governmental organisation. In its remote health centre in Pibor, MSF has admitted 24 kala azar patients, two of whom died having received care too late. MSF has also admitted an additional 46 kala azar patients to its clinic in Lankien. Further north, in neighbouring Upper Nile State, following reports that 66 kala azar patients were undergoing treatment in Malakal hospital, MSF deployed an outbreak response team to screen people across Rom, where 37 patients are now undergoing treatment. The patients in Pibor clinic were infected in the cattle camps in the north of Jonglei State, before moving back to their villages around Lekwongole, in the northwest of Pibor County. Patients make their way to MSF’s outreach health post in Lekwongole, as MSF teams are currently unable to travel to these villages due to insecurity and road inaccessibility. MSF then transports the patients to Pibor by boat, as roads have become rivers. MSF is not only providing direct treatment for the disease, which involves one injection per day for thirty days, but is also giving supportive treatment for dehydration, anaemia and other diseases affecting some kala azar patients, such as malaria. In addition, MSF is providing food to patients and distributing mosquito nets and soap and is starting health promotion activities in Jonglei State to raise awareness of the disease and encourage more people to seek treatment. Médecins Sans Frontières (MSF) is an international medical relief organisation and has been working in Sudan since 1979. Currently, MSF has projects across Southern Sudan, and in Abyei, Southern Kordofan, the Red Sea State and Northern Darfur. MSF is an independent and neutral organisation that provides medical aid to all people regardless of race, political and religious affiliation.